Congrats on the card of the day! Your work has a lot of personality! I really like your work, I'm really not out here much due to time constraints but yours is one of the stores I always check in and like looking through. Your work is so awesome, each card seems to come to life. Keep up the good work and please don't ever stop creating these wonderful works of art! I don't know how anyone chooses a card here, they are all so appealing! You have such a great store Moonie, best wishes to you. 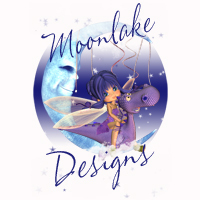 Another Design of the Day, Congratulations Moonie! Your beautiful card has been added to this post on the Well Wishers Group Blog http://wellwishersgroup.wordpress.com/2011/07/20/remembering-birthdays/. Touching, heartfelt sentiment in this card and I hope it blesses the homes of many turning 60. Tanya, Congrats on Design of the Day, you are an amazing artist! Tanya, Congratulations on Design Of The Day. Hi Tanya, I love your cards! The fairies are absolutely beautiful. Amazing artwork. Tanya, what fantastically beautiful cards & so diverse! I am of Welsh descent, but that doesn't make me biased in any way, they are just lovely! Such beautiful designs! Congratulations being selected for a design of the day on GCU! Your cards are so unique and beautiful. You have such excellent works of creativity. Love your art.. some are very pretty, others are funny.. nice work. Absolutely delightful work! Love the "bit of attitude." Hard to pick a favorite. Thanks for the thoughtful card review. Love your unique style - you are so creative and your cards are simply perfect! I love your shop, your cards are so much fun. You really have the nack for creating beautiful cards. Thank you Tanya for the information you gave me on Forum. I make a habit to look up the artist 's who respond to me. It gives me the opportunity to familiarize myself with the artists and their designs. You are a great Illustrator, I believe that that is your forte. I love your store. Hi! Your cards are so cute! Do you have a card with your logo on it? What unique work! VERY nice and fun! Ooooh I LOVE your cards. Wow! Some Amazing cards in here. Excellent work. You are very talented, I find your work very inspiring! Just wanted to tell you how much I am enjoying your shop! Hi Tanya, it had been awhile since I stopped by and I just had to see your Halloween cards. Just a great style and wonderful imagination! I made a couple my favorites! See you on the forum. what fun!! I love your style!!!! Great images!!! Very nice gallery, Tanya.... you have amazing detail to your artwork. Your cards are so adorable. Love the unicorn cards. Thanks for the positive reviewe of my card. Your store is great- very interesting illustration style. I am a new artist on GCU, and I only hope to have as many cards as you some day. Wow...Love your cards and your store design is very unique. I am new and was looking around......your designs are amazing. I really like your wedding cards~BEAUTIFUL! What a fabulous collection of designs, I enjoyed seeing them. wow - really amazing, you r very talented. your card designs have a vibe that I love - i hope u r very successful! Lovely faeries, I Love your colors..Have you designed for any Graphic Novels? Marvelous collection of cards. Your designs are unique and very eye-catching. I especially like the Baby's 1st Christmas card. So sweet! You have a fantastic gallery of cards here. Love your bunny cards and your fairies!